We have closed our store in Dairy Flat so are no longer open to the public. 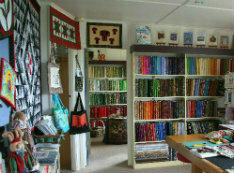 We still have a wide range of high quality 100% cotton patchwork and quilting fabrics available on-line. We take pride in stocking quality products sourced from reputable suppliers and manufacturers. We support our local wholesalers, where we can, by purchasing our products from New Zealand owned and operated businesses.